Thank you to Atkins Nutritionals for sponsoring this post! 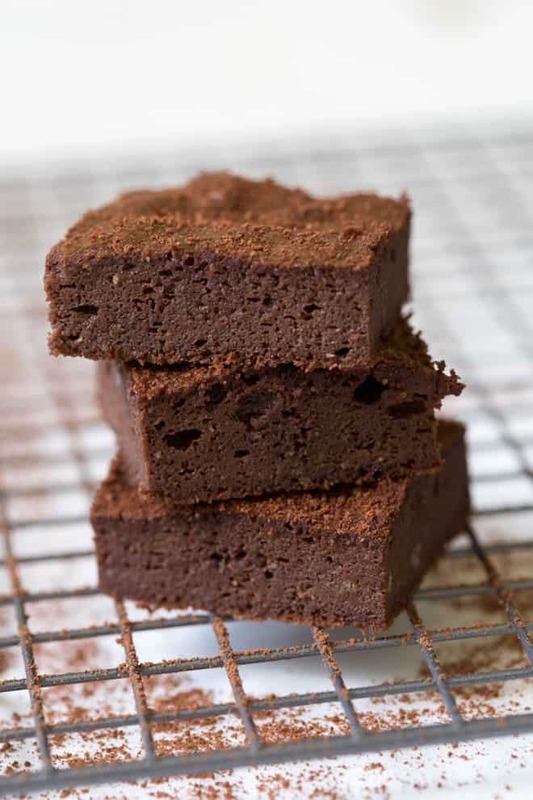 Combine a few simple ingredients and double the chocolate flavor to create the Atkins Double Chocolate Brownies! Share these naturally gluten free, low carb and low sugar brownies with your friends and family. Double the chocolate means double the fun! A balanced lifestyle includes balancing clean eats with sweet treats so I’m sharing a tasty recipe for one of my favorite desserts. 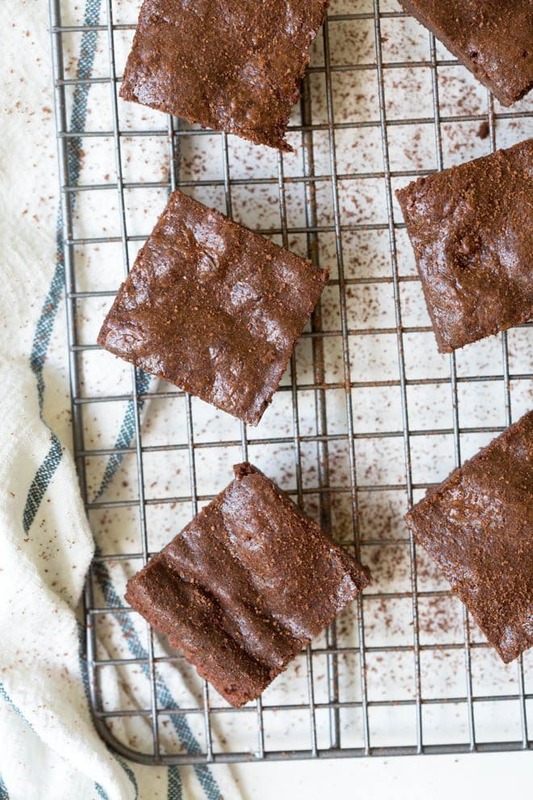 Double Chocolate Brownies are soft, fudgy and packed with chocolate flavor. 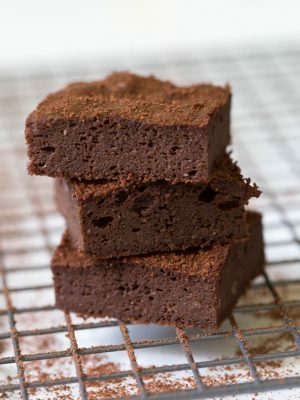 You won’t be able to resist these brownies made with both unsweetened chopped chocolate and unsweetened cocoa powder. 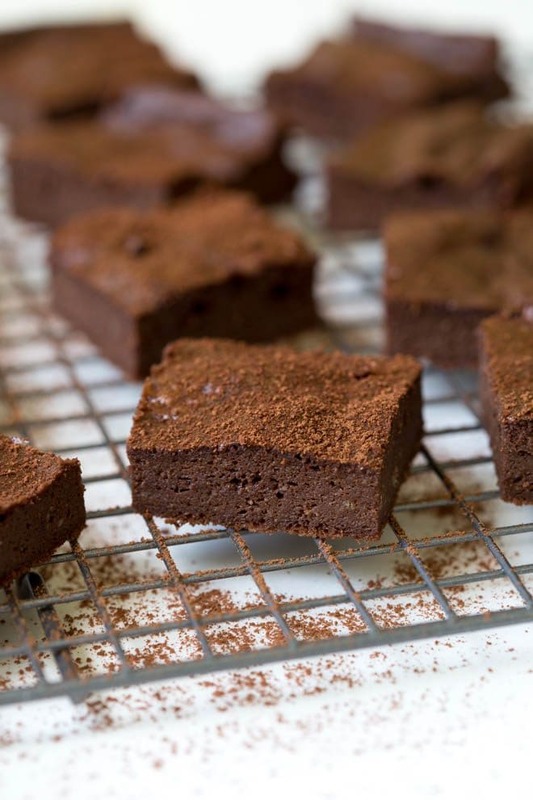 I discovered the recipe for these Double Chocolate Brownies in the new lifestyle book, “Atkins: Eat Right, Not Less.” With more than 100 pages dedicated to living the Atkins low carb lifestyle, the book is a valuable resource for anyone aiming to enjoy a low sugar and low carb lifestyle. 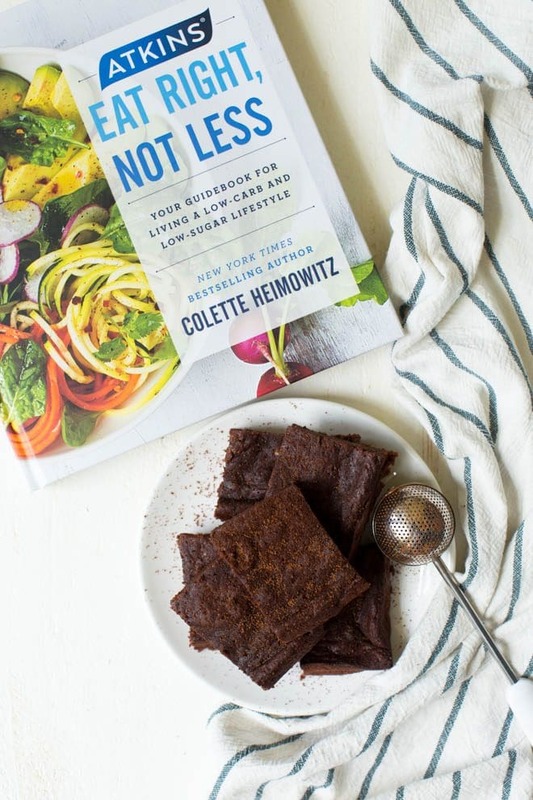 The book provides an extensive list of foods that are acceptable for a low-sugar, low-carb lifestyle. In addition, it includes tips for staying on track during the holidays or while eating out and explains the “hidden sugar effect” – foods that you think are healthy that actually turn into sugar when digested. You don’t see the sugars, but your body does. The weekly meal plans offer a great way to kick start healthier living. Best of all, the recipes are made with fresh natural ingredients that the entire family will love. Try the Asparagus with Burrata Cheese and Kale Pesto or the sweet and savory Lemon Protein Pancakes. The recipe options include everything from breakfast, lunch and dinner to snacks and dessert. Visit AtkinsEatRightNotLess.com to learn more about the “Atkins: Eat Right, Not Less” lifestyle book and explore more about the Atkins low carb lifestyle. If you are exploring the keto way of eating, learn more about how Atkins offers a more flexible keto diet with a range of food choices and balance of micronutrients within its Atkins 20 and Atkins 40 programs. Double Chocolate Brownies are made with a few simple ingredients and double the chocolate flavor! These naturally gluten free, low carb and low sugar brownies are a sweet treat meant for sharing. Preheat the oven to 325°F. Coat an 8x8 inch pan with olive oil spray. Add the chocolate, butter and coconut milk to a large bowl. Microwave on high power for approximately 2 minutes until the chocolate is melted. Whisk well and set aside to cool. Add the stevia, almond flour, 2 tablespoons cocoa powder and baking powder to a large bowl. Whisk to combine. Whisk in the eggs and the cooled chocolate. Transfer the mixture to the prepared baking pan and smooth the top with a spatula. Bake for 20 to 25 minutes, or until the edges are firm but the center is soft. Cool completely in the pan and then slice into small squares. Sprinkle with the remaining cocoa powder. Store in an airtight container in the fridge for up to 5 days. Recipe republished with permission from Atkins Nutritionals, Inc. This is a sponsored conversation written by me on behalf of Atkins. The opinions and text are all mine.